Omega Industries, Inc. is a family owned and operated business. The company was founded over 40 years ago in a 500 square foot building by Isidoros Garifalakis. As a Greek immigrant and steel fabricator, Isidoros came to America with a vision of building his own company. Through years of hard work, commitment to his customers, and a strong work ethic, Isidoros built the business he had envisioned. Along with family and a group of skilled employees, the company has grown to employ nearly 200 people in four states. Omega is the largest main line railroad crossing supplier in the United States and is known for quality workmanship and first class customer service. Along with the crossing panel line, Omega manufactures dredging parts and miscellaneous fabricated steel products. 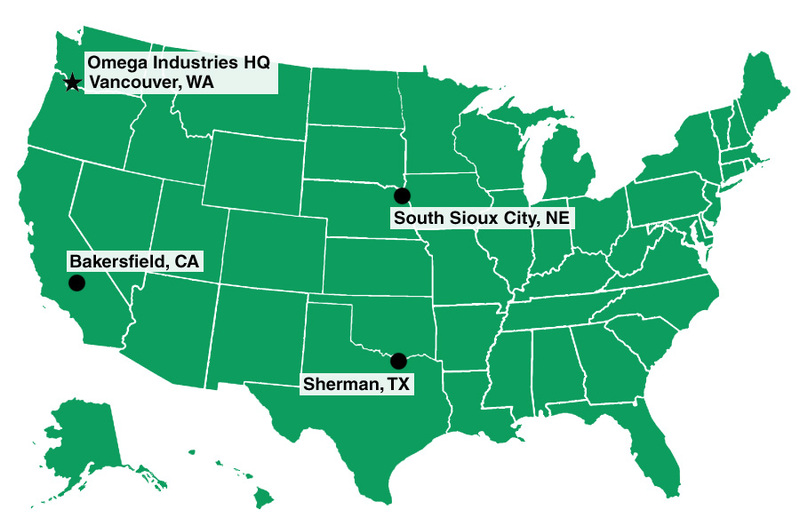 Omega’s main office is located in Vancouver, WA and additional manufacturing plants are located in Bakersfield, CA, Sanford, NC, South Sioux City, NE and Sherman, TX.